Hollywood legend goes that dancer Ginger Rogers was actually more talented than longtime partner Fred Astaire because Ginger did everything that Fred did, only "backwards and in high heels." By the same token, Pair skaters have to do everything a Single skater does, only in unison. (Plus, there are additional Pair moves, as well. It's not a perfect analogy, I was just trying to make a point). Sometimes, the most difficult part of becoming a champion Pair (or ice dance) skater, is not mastering all the basic skating skills and more, it is simply finding that perfect partner to do them with. The search process can be more excruciating than a crash on a Split Triple Twist. Even when you're an Olympic Gold medalist like Russia's Artur Dmitriev. He and partner Natalia Mishkutenok won Olympic Gold in 1992, Olympic Silver in 1994, and two world titles. But, Natalia, suffering back problems as a result of such agile, spine-twisting signature moves as "Natalia's Spin" (at the 1992 Worlds, the Soviet team doctor covertly predicted, "That girl will be in a wheelchair by the time she's 30.") wanted to retire from competition. Artur did not. And so the hunt was on to find him another partner. Artur recalls, "I try out with maybe four or five good people before I skate with Oksana (Kazakova). It took one try only." At their first World Championship in 1996, all pundits' eyes were on Oksana to see if she could match up to her much-medaled partner. When the fresh team finished out of the medals, in 5th place, the blame was laid squarely on Oksana's shoulders, despite the fact that Artur made his share of mistakes, including losing his center on a spin and skidding dangerously close to Oksana. By the following season, it became clear that it was Artur who now needed to hustle to keep up with his rapidly improving partner. 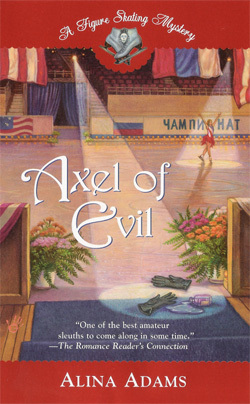 At Skate America '96, in the Short Program, it was Artur who missed the side-by-side Triple Toe Loop, Artur who dropped Oksana out of a lift, and Artur who tripped and fell flat on his stomach during the footwork sequence. It was also Artur who, at the 1997 Worlds, missed the Triple Toe Loop, leaving the team to finish 3rd. Artur and Oksana again finished 3rd at the 1998 Russian Nationals, and their chance for Olympic Gold seemed to be slipping away daily. Yet, as his coach Tamara Moskvina predicted, "Artur is very knowledgeable in how to skate in the Olympics. Experienced people know when to start really working. He is collecting his strengths, his desires, his responsibilities for that moment in the Olympics." True to Tamara's word, Artur Dmitriev arrived in Nagano looking trim and healthy, thanks to having sworn off "partying" (a word he preferred the press use in the place of "drinking") for the period leading up to the Games. After he and Oksana won their Gold medal, however, Artur promptly disappeared, leaving Oksana to skate many of their exhibition practices alone. The moratorium on "partying" was definitely over. Artur and Brian's story is typical in that men searching for a partner tend to find one with relative ease. At the Partner Try-Out sponsored every year by the Professional Skater's Association (PSA), the number of girls who show up looking for partners tend to outnumber the boys fifteen to one. It's the women in skating who can spend months, sometimes years, seeking a match. Eve Chalom looked all over the United States for an ice-dance partner, before a coach introduced her to Mathew Gates of England. 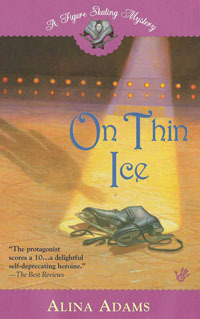 In order to skate with Eve, Mathew had to relocate to America and move in with the Chaloms, who agreed to foot all of his training and living expenses. It was, Eve's parents admit, like taking on another child, both financially and emotionally. The first few years of their partnership, Mathew lived in a room once belonging to Eve's Yale-bound brother, Adam. But, in 1996, Eve and Mathew decided there was such a thing as too much togetherness, on and off the ice, and Mathew moved into his own apartment, still subsidized by the Chaloms. Eve's family also helped Mathew establish legal status in the United States. In February of 1996, Susan Chalom drove Mathew six hours through a raging ice storm to Toronto, where he was processed for permanent residency. Instead of waiting in line with the rest of the applicants, Mathew was treated like a celebrity and processed immediately. Although his green-card came through in August, his lack of citizenship prevented Mathew and Eve from challenging for a spot on the 1998 U.S. Olympic team. They split up following the 1999 season. As international barriers crumble and skating becomes a more and more lucrative enterprise to embark on, international partner searches are growing even more commonplace. Russia's Maria Anissina thought she'd found herself a perfect match when she and Ilya Averbukh won the World Jr. Ice Dance Championship in 1990 and 1992. But, 1992 was also the year Ilya fell in love with another ice-dancer, Irina Lobatcheva, and left Marina to skate with his new girlfriend. Devastated, Marina didn't skate for sixth months. Unable to find another partner in Russia, she took out her nicest stationary and wrote two letters overseas. The first was to Canada's Victor Kraatz. She gave it to a member of the Canadian team to pass on to Victor. He never responded. (Though, according to Victor, he never received any letter, because he certainly would have replied if he had). The second letter went to France's Gwendal Peizerat. Marina had spied him earlier competing at Jr. Worlds. Gwendal wrote back explaining that he had a commitment to skate one more meet with his current partner. Afterwards, however, he would be very interested in trying out with Marina. Clutching a three month visitor's visa and speaking no French, Marina travelled alone to Paris. 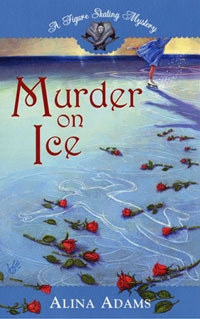 Although she and Gwendal decided right away to skate together, Marina still had to return to Moscow and wait for the paperwork to be processed before she could return permanently to France. For most people, the process of becoming a French citizen takes five years. However, the French Skating Federation pushed the process through in only two and a half for their 1996 & 1997 National champion so that Marina could represent France at the 1998 Olympics. Marina is now a dual citizen of France and Russia, though she admits, "In my heart, I am Russian." A fact that appears obvious to any spectator. A member of the press, observing Marina's behavior at one skating function sniffed, "It would be nice if Marina at least pretended to act like a member of the French team, instead of spending all night sitting and chat-ting with the Russians." National confusion aside, though, Marina's defection to France was definitely the right move -- for her and for them. At the 1998 Olympics, Marina and Gwendal won the Bronze medal ahead of Victor Kraatz and the partner he ended up skating with, Shae-Lynn Bourne, as well as Marina's former partner, Ilya Averbukh, and his wife, Irina Lobatcheva. At the 2002 Games, Marina and Gwendal were first, with Ilya and Irina second, and Shae-Lynn and Victor 4th. Another Russian Irina, Irina Rodnina, once suffered a setback similar to Marina Anissina. Despite their winning four World Pair titles and the 1972 Olympic gold, Irina Rodnina's partner, Alexei Ulanov, decided to break up the twosome. He'd fallen in love with Ludmila Smirnova and wanted to skate with her. After a well-publicized, nationwide search, Irina teamed up with Alexander Zaitsev. At their first World Championship, barely two minutes into their Long Program, the music stopped. Irina was convinced it was sabotage. She'd had a dream the night before that such a thing would happen, and, determined that nothing would stop her from proving she was back with a vengeance, Irina and Alexander continued skating. The crowd began clapping, hoping to give them some sort of beat to work with. The referee blew his whistle. He tried to stop the team. Irina and Alexander kept skating. In the end, they skated away with the gold medal. Alexei Ulanov and his new partner, Ludmila Smirnova, finished 2nd. Irina Rodnina had proven that she could be a champion with any man. Then, as if to make sure this partner wouldn't get away from her as easily, Irina married him. It is a trend the Russians have continued to this day.